Disney Infinity's infinite possibilities of the Toy Box grew a little more today with the release of five new pre-built toy boxes ranging from race courses to a fun side-scrolling adventure (à la Mario). Check out three of the five videos below and then download the free Toy Boxes on your console to start playing now. 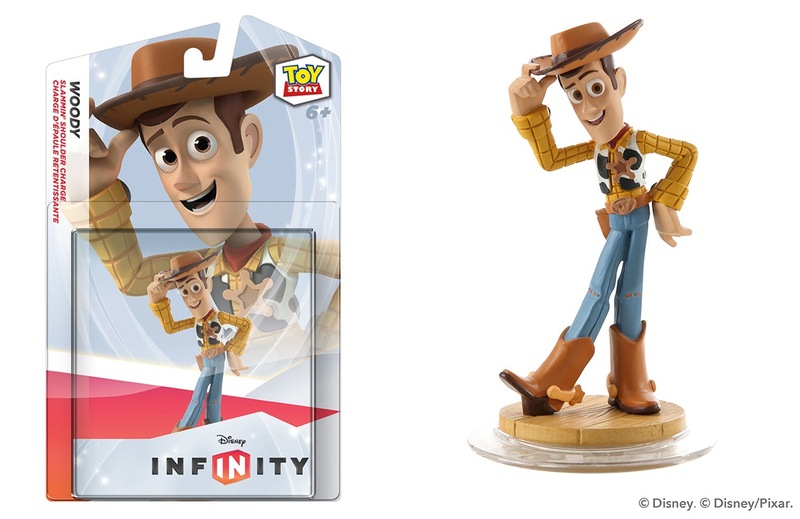 Additionally, Walmart is now taking preorders for the Disney Infinity character, Woody, to be released on October 1. Of course, Woody will be available to play in the Toy Box as of October 1, but will also be able to be utilized in the Toy Story in Space play set also releasing in October (date not specified yet). UPDATED - our reader, Brian, has noted in the comments below that GameStop is also taking in-store pre-orders for the Woody character as well as the Toy Story in Space play set with a release date of October 22. The Toy Story in Space play set will be released with Buzz and Jessie in a two pack, along with the hex game piece to enable the game play. During the introductory Toy Box from the game you also get a glimpse of Woody's character in the game and I must say that we love the way they designed his run - it looks so authentic (check out our Vine video below).